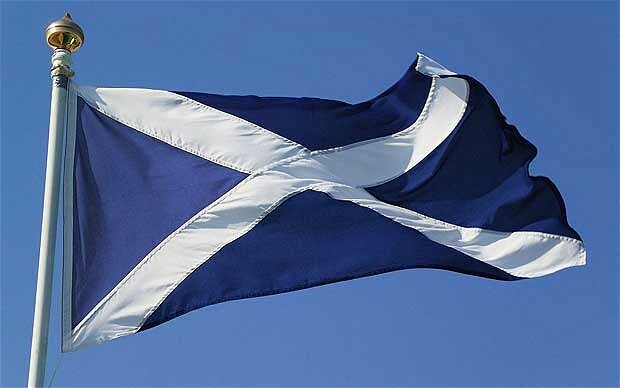 Scottish Independence – an expat’s view. Scotland has a proud history of invention, innovation, and exploration. Over 1/3 of the signatories to the US Declaration of Independence were either first or second generation Scots, and almost all the major educational institutions in the USA were founded by Scots – as indeed was the US Navy. Advanced enlightened Scots thinkers such as Adam Smith and David Hume left an imprint on their generation which is still with us today. In the same tradition, the very fact of staging the recent Scottish Independence referendum has brought the country into the limelight in many parts of the globe asking the same or similar questions around their constitutional and political futures. The outcome of the referendum in Scotland is, as we all now know, for the retention of the United Kingdom. But it is certainly not destined to be the same U.K. going forward. Since 1945, Scots have consistently avoided voting Conservative, and even in the British Labour Party’s darkest days, the Tories seldom made any real showing north of the border. As part of the wider union, Scots have generally adopted the consensus politics of British parliamentary democracy, and accepted the outcome of successive General Elections. However, it is clear that activities, actions, and policies enacted south of the border have stretched Scottish patience, and while the majority of Scots voters elected to stay within the current structure, promises made by the three major party leaders, if not delivered, may well have repercussions. The actions of extremists, racists, and other sectarian political entities in England are, I suspect, an anathema to most Scots, and any suggestion of introducing a US-Style privatised Health Care sector at the expense of the National Health Service, would be similarly distasteful. This is not because Scots are all convinced Marxists, but because the immediate post-war legacies of education and health are regarded as the building blocks of a civilised society and should not be left to the vagaries of privatisation ideologues or the uncertainties of an unbridled free market. Historically, since the marriage of Ferdinand and Isabella united Aragon and Castile in 15th century Spain, we have seen the rise and global acceptance of the nation state, with unification regarded as the path to progress and prosperity. The nationhood created by this basic political unit has been jealously defended and attempts to challenge this have occasionally resulted in conflict, war, and even attempts at genocide. So the Scottish referendum, with all its implications for change in the U.K., has brought the concept of the expanded Nation State into question, and people seeking autonomy from Cataluña in the aforementioned Spain, to Kashmir, have been following the Scottish referendum closely. No doubt events in the U.K. will continue to be followed closely in many parts of the planet. In particular, whether the Government delivers on the promises made in the last few days before votes were cast. Apparently, the Prime Minister, David Cameron is seeking now to link any further devolution of power with a limitation on the Scottish MPs voting rights in Westminster. This is inappropriate, retrospective, and disingenuous. Mr. Cameron campaigned strenuously for Scotland to stay in the Union – this means that Scottish MPs therefore continue to enjoy the same status and constitutional rights as any other elected MP in the Union, until proper debate and procedure changes this status. It is entirely inappropriate for Mr. Cameron to plead for the status quo, to commit to further devolution, then to retrospectively attempt to dilute the constitutional base of the very Union he sought to retain. The promises made are an entirely separate issue from the constitutional position of Scottish MPs in the House of Commons. Scottish voters were persuaded to keep the Union together, at least in part due to the Prime Minister’s promises. The issue of Scottish MPs voting in Parliament on matters relating solely to England is an entirely separate matter, and should be treated accordingly. Of course, the question arises whether Mr Cameron would be so inclined if the 40 Labour MPs in Scotland were Conservatives, but that’s another discussion. The final word on independence rests on the issue of making trade with Scotland’s biggest market and nearest neighbour less convenient, less easy to conduct, and potentially less fruitful. As the Union has been instrumental in facilitating successful trade for over a couple of centuries, it is indeed ironic to witness the British Conservative Party so vociferously endorsing a Trade Union.